In California, when it rains, it pours. At least, that seems to be the case when it comes to the flood of parking reforms taking place across the state. The most recent example comes from San Diego, where this week, the city council passed a new parking reform package that eliminated parking requirements for sites located within 1/2-mile of a transit stop. The effort also sets new parking maximum—instead of minimum—requirements in certain areas, including in the city’s downtown. There, a maximum of one parking stall will be allowed per residential unit, with the added restriction that parking must be built below ground if it is built at all. The city will now also require multi-family housing developers to provide so-called “transportation amenities” for their residents, including free transit passes, bicycle storage facilities, and on-site daycare facilities to help reduce automobile trips. In new developments that require at least one stall, the new rules will require one Americans with Disabilities Act–compliant parking stall. For buildings with no parking, no ADA-compliant stalls will be required. San Diego’s embrace of parking reform comes as Republican mayor Kevin Faulconer takes up the mantle of the insurgent “Yes In My Back Yard” (YIMBY) movement in a push to spur housing construction while meeting local climate goals. 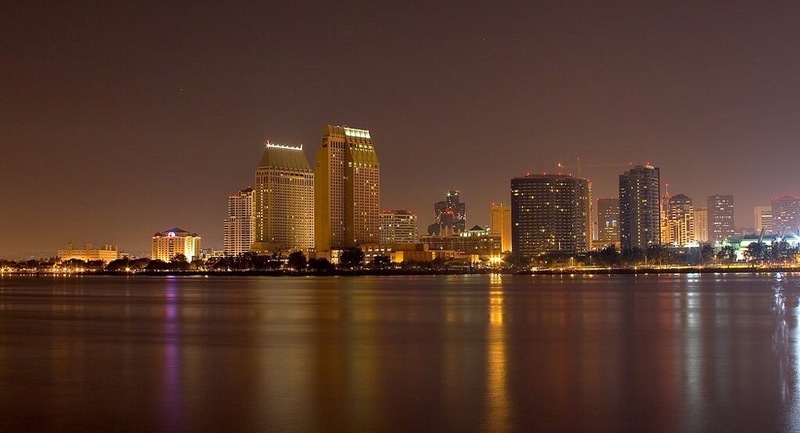 The reforms enacted in San Diego, for example, mirror some of the policies proposed in Senate Bill 827, a statewide pro-density, YIMBY-backed bill that drew controversy across the state. The efforts also mirror reforms taking place at the state level that have picked up steam under California’s new governor Gavin Newsom. San Diego, like many California cities, is mired with high housing costs and surging levels of homelessness. Though politically noxious until very recently, doing away with parking near transit has come to be seen as an entry-level reform for spurring housing construction because aside from fueling automobile-dependant lifestyles, parking is, simply put, expensive to build. A city report estimates that each parking stall adds between $40,000 and $90,000 to the cost of each residential unit. Those front-end costs translate to higher monthly costs for renters and buyers, costly increases for a state where many residents spend the majority of their incomes on housing and transportation. Further, from a design perspective, required parking imposes many limitations. Before the new ordinance, for example, parking requirements were tied to the number of bedrooms in each unit, meaning that larger residential units, the two- and three-bedroom configurations that are best suited for families, could require up to three or four parking stalls per residence. The requirements are particularly onerous for small- and medium-scale developments on tight urban lots, where required driveways, exacting stall dimensions, and other car-related required elements fundamentally shape not just building design but often, the number of housing units that can be built overall. Cities across the state are becoming wise to the high cost of free parking, however. San Francisco and Sacramento are pursuing their own city-led efforts to curtail parking requirements while Los Angeles’s Transit-Oriented Communities program has successfully sought to induce developers to build affordable housing in lieu of car stalls. ETH Zürich’s high-tech showhome opened its doors this past week. 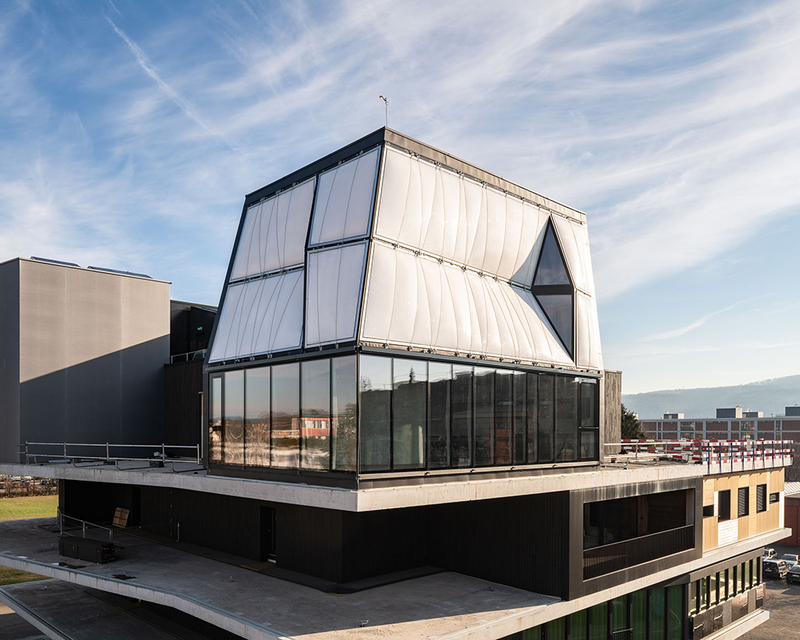 The three-story DFAB HOUSE has been built on the NEST modular building platform, an Empa– and Eawag–led site of cutting-edge research and experimentation in architecture, engineering, and construction located in Dübendorf, Switzerland. The 2,150-square-foot house, a collaboration with university researchers and industry leaders, is designed to showcase robotics, 3-D printing, computational modeling, and other technologies and grapple with the interconnected issues of ecology, economy, and architecture. One of the central innovations is using robots that build onsite, rather than create prefabricated pieces in a factory. This In Situ Fabricator (IF) technology, an autonomous “context-aware mobile construction robot,” helps minimize waste and maximize safety during the construction process. To generate concrete geometries not permitted by conventional construction techniques, such as curvilinear shapes that minimize material use, researchers devised a Mesh Mould technology that was built with the aid of vision system–equipped robots. The robots fabricated a structure that acts as both formwork and structural support, a curved steel rebar mesh. The mesh is then filled with concrete, which it acts as a support to. In the DFAB HOUSE, the Mesh Mould is realized as a 39-foot wall, a main load-bearing component of the house, which is able to carry around 100 tons. Despite its complexity—it has 335 layers with over 20,000 welding points—the robot took just 125 hours to construct the mesh. https://youtu.be/ZeLEeY8yK2Y Cantilevered over the Mesh Mould is the so-called Smart Slab, a 3-D printed concrete formwork that supports the timber structure above. Many of the concrete forms in the home are built with what the researchers are calling Smart Dynamic Casting, an automated prefabrication technology. Robotic prefabrication is also used to make the Spatial Timber Assemblies that comprise the upper two levels of the home. The timber structure was devised as part of a collaboration between the university, Gramazio Kohler Research, and ERNE AG Holzbau, who used computational design to generate timber arrangements to fit into the larger structure. The timber assemblies also permit the creation of stiff structures that don’t require additional reinforcement. Applied onto the structure, the hyper-efficient facade is made of membranes of cables, translucent insulating Aerogel, and aluminum. In addition to all the new technology that went into building the DFAB HOUSE, it will also be a “smart home,” using what the researchers are calling the “digitalSTROM platform,” which includes “intelligent, multi-stage burglar protection, automated glare, and shading options, and the latest generation of networked, intelligent household appliances.” It also includes voice control for many of the home’s operations from turning on a kettle to operating blinds. Energy management is also a centerpiece of the home, with rooftop photovoltaic panels featuring a smart control system. Additionally, heat exchangers in the shower trays recover the warmth of shower water, and hot water from faucets is fed back into the boiler when it’s not in use. Not only does it conserve energy and water, it also prevents bacterial growth in the pipes. The radical use of technology in the DFAB HOUSE is also about optimization and efficiency: the home, with all its undulating formwork and translucent geometries, has been designed to demonstrate how new technology can develop and advance its own aesthetic language to make truly pleasing, compelling spaces. It will also be put to the test. Soon academic guests will be moving in and give life in the DFAB HOUSE a shot. For those who can’t make it to Switzerland, the project will also be presented during Swissnex in San Francisco. 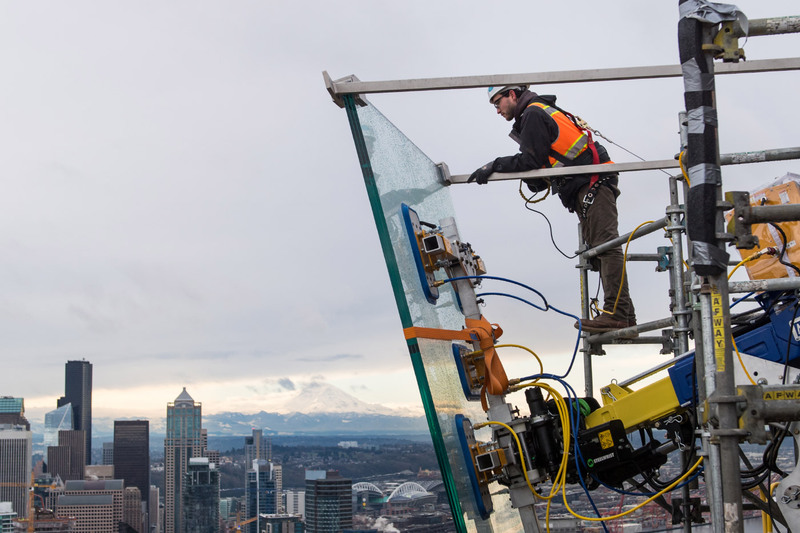 A pair of cracked windows have been discovered at San Francisco’s Salesforce Tower. It's another stroke of bad luck for the city's newest architectural marvels. The San Francisco Chronicle reported that local Department of Building Inspection officials confirmed the presence of cracked window panes in the 61-story, Pelli Clarke Pelli-designed tower last week. The cracks were discovered along the inner panes of a dual-glazed, south-facing window on the 12th floor and a similar east-facing window on the 14th floor of the tower. A spokesperson for the building’s owner told CBS in San Francisco that because the cracks are located on the inside of the window assembly, the damage poses no danger of falling glass. The cause for the cracks has not been discovered, but plans are underway to replace the affected windows in the coming weeks. The Salesforce Tower opened in January 2018 and is currently San Francisco’s tallest building. At 1,070 feet in height, the building is considered the second tallest structure in the western United States behind Los Angeles’s Wilshire Grand tower. The discovery of cracked windows at Salesforce comes months after broken window panes were discovered in the Handel Architects-designed Millennium Tower just one block over. The 58-story tower has settled over 18 inches on one side and is also leaning by 14 inches, according to recent reports. The settling is believed to have caused the cracked windows discovered last year at the tower. Plans for a $100 million fix to stop the sinking are currently under development. Those efforts include drilling up to 300 new micro-piles through the building's foundation and into the bedrock below in an effort to stabilize the tower. The tower opened in 2009 and cost about $350 million to build. Another new San Francisco project, the Transbay Transit Center, located at the base of the Salesforce Tower, remains closed nearly six months after a pair of cracked structural beams were discovered in that building. A permanent fix for the damaged beams is currently underway, though a reopening date for the transit center has yet to be announced. Officials with the Transbay Joint Powers Authority blame manufacturing defects for the damaged beams. 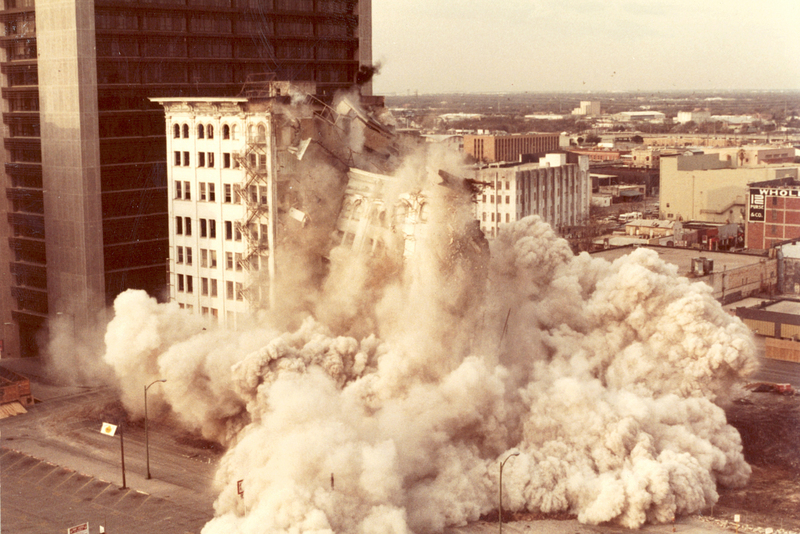 These troubles come as news of the city’s precarious subsoils and the potential earthquake risk for certain high-rise towers are brought to light as well. The project, as currently planned, would cost too much and take too long. There’s been too little oversight and not enough transparency. Right now, there simply isn’t a path to get from Sacramento to San Diego, let alone from San Francisco to L.A. I wish there were. 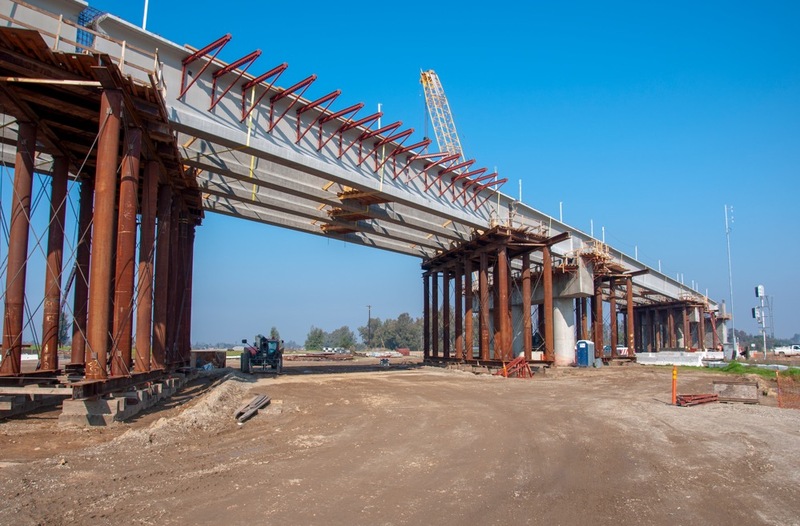 However, we do have the capacity to complete a high-speed rail link between Merced and Bakersfield. I know that some critics will say this is a ‘train to nowhere.’ But that’s wrong and offensive. The people of the Central Valley endure the worst air pollution in America as well as some of the longest commutes. And they have suffered too many years of neglect from policymakers here in Sacramento. They deserve better. The comments were widely interpreted as a death knell for the L.A. and San Francisco spurs of the line, a characterization the governor disputed in the aftermath of the speech. Newsom spokesperson Nathan Click, speaking to the press, offered the following clarification: “The state will continue undertaking the broader project—completing the bookend projects and finishing the environmental review for the [San Francisco] to L.A. leg—that would allow the project to continue seeking other funding streams." But by that point, the damage had been done. Speaking via Twitter, President Trump said, “California has been forced to cancel the massive bullet train project after having spent and wasted many billions of dollars,” adding, “They owe the Federal Government three and a half billion dollars. We want that money back now. Whole project is a ‘green’ disaster!" It only gets worse from there. The Los Angeles Times reported that an additional $2.5 billion in additional federal grant funding has been thrown into question as Trump Administration officials are “actively exploring every legal option” for taking the money back in light of slow progress as well as the governor’s statements. The funds are currently being put to use building the 119-mile route that Newsom has pledged to finish. The Times reported further that Ronald Batory, the chief of the Federal Railroad Administration who issued the grants to California in 2009 and 2010, penned a legal analysis of the situation to California High-Speed Rail Authority chief executive Brian Kelly stating that California “has materially failed to comply with the terms of the [grant] agreement and has failed to make reasonable progress on the project.” Batory further alleged that California had failed to deliver $100 million in matching funds for the project that were due in late 2018. Batory’s missive also referenced Newsom’s speech directly, saying that the governor has instigated a “significant retreat from the state’s initial vision and commitment.” Experts disagree whether the federal government can legally take back money that has already been allocated or spent, but that has not stopped President Trump from continuing his attacks on the state’s rail plan this week. Either way, the long-held and hard-fought vision of California high-speed rail has been thrown into doubt. The uncertain news has reverberated across the state, including in San Francisco, where the structurally damaged Salesforce Transit Center sits vacant, with an entire subterranean level laying in wait for a high-speed rail line that now might never come. The University of California, Los Angeles (UCLA) Ziman Center for Real Estate has launched a unique affordable housing development program geared toward sharing some of the most innovative approaches in the field with housing professionals. The executive course, a partnership between school administration and private donors, consists of an intensive three-week program that brings together professors in urban planning and real estate, UCLA M.Arch I graduates, and interested students to develop conceptual proposals for affordable housing projects in Los Angeles. The program—developed by Ziman Center professor of finance Stuart Gabriel, UCLA Luskin School of Public Affairs lecturer in urban planning Joan Ling, CityLAB UCLA director Dana Cuff, and others—takes students through the exercise of designing, permitting, and funding their projects with the goal of instilling a “curriculum-based” approach to affordable housing development, according to Ziman Center founding executive director Tim Kawahara. Most of the students in the program are working professionals who are already engaged with the world of affordable housing development in some form, Kawahara explained, but are looking to expand and enrich their current knowledge. Kawahara said that because many of the professionals working in affordable housing have fallen into the field unexpectedly or work for self-taught non-profit housing developers, there is something of a gap in terms of shared, industry-wide knowledge. That’s where the university's deep bench of housing policy- and development-focused professors is stepping in to create a formalized approach to help affordable projects come to life. “The affordable housing crisis in California has reached an untenable level,” Kawahara said. “We have been doing a lot of teaching in the affordable housing space and wanted to find a way to help address the crisis, so we said, ‘Lets do a university-based executive program that will help deliver as many affordable housing and middle income and units as possible.’” The program’s inaugural class has been a smash success. After planning for an introductory cohort of roughly two dozen students, the Ziman Center received over 140 applications for the program. The university is now looking at ways of expanding the reach of the program, either by raising additional funding to hold the course more often throughout the year or by transforming the curriculum into a syndicated learning package that can be taken up by other universities. Word of the program even reached the California State Legislature, which has asked Ziman Center to give a version of the class to interested lawmakers. Organizers hope that more projects like the Little Berkeley development by CityLAB-affiliated Kevin Daly Architects come to life as a result of the program. The award-winning eight-unit project organizes residences in a staggered arrangement on a tight urban lot in Santa Monica and uses oddly-shaped interstitual spaces to provide outdoor access for residents. With California working to allocate tens of billions of dollars in new funding for affordable, supportive, and transitional housing projects, timing for the course and its much-needed curriculum is on the organizers’ side. Across the state, efforts are being made at all levels of governance to bring new funding sources and other incentives to affordable housing developments, while many California cities, including Los Angeles and San Francisco, have instituted so-called linkage fees that require market-rate developers to include subsidized units in their developments. California’s new governor is working to enact a robust pro-housing agenda that aims to deliver up to 3.5 million units in less than a decade. Perhaps not unexpectedly given this momentum, Kawahara, sees affordable housing as a “growth industry” that might even have the potential to fare better than others if the economy takes a much-predicted downturn. With increasing levels of funding for these projects and political interest in the housing crisis only growing, it’s possible that a sizable percentage of the state’s new housing could come from affordable development initiatives. There’s even room to grow, because despite the prodigious growth in housing incentives and funding for certain targeted groups, “We still have a low- and middle-income housing affordability problem,” Kawahara said. The Sundance Institute, the organizer of the annual Sundance Film Festival in Park City, Utah, and the Kimball Art Center announced an Arts & Culture District building program in the festival's host city. The Sundance HQ architect hasn't been selected yet, but the Kimball has picked BIG to design its new museum. 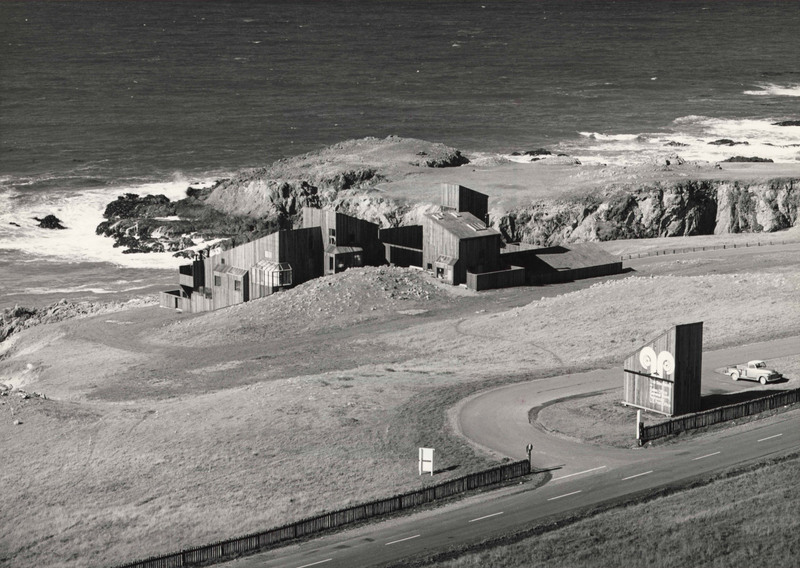 This initiative set the stage for the festival's 2019 crop of movies focusing on architecture. In It’s Going to be Beautiful, a short documentary about the proposed U.S.-Mexico border wall directed by Luis Gutierrez Arias and John Henry Theisen, we see eight wall prototypes and the surrounding neighborhoods on both sides of the existing border barriers. Less divisively, in Joe Talbot's The Last Black Man in San Francisco, a young man lovingly preserves the rundown Victorian house his family lost. The family originally acquired this ornate structure with a witch’s hat, stained glass windows, wooden archways, and built-in organ after the Japanese owners' internment during World War Two. Gentrification, artistry, and black male identity are explored in this tale of the house. “Your radiator is a D Flat,” says the "house tuner" played by Peter Sarsgaard in director Michael Tyburski's The Sound of Silence. Sarsgaard's character solves New York City residents' ills by painstakingly analyzing their out-of-sync domestic sounds (the toaster accompanying the aforementioned radiator is a G Major). A corporation surreptitiously monetizes his theories with virtual home inspections, advertising on New York City street kiosks. Dan Gilroy’s Velvet Buzzsaw, a sendup of the art world with an art critic (Jake Gyllenhaal), artist (John Malkovich), curator (Toni Collette), and gallerist (Rene Russo) who live and work in stupendous houses, galleries, and the fictional art museum LAMA, which uses Diller, Scofidio + Renfro’s Broad Museum and Gehry’s Disney Concert Hall. New Frontier, the media arts section, showed artworks that used virtual and augmented reality, many of which explored ideas about race and community. THE DIAL is an augmented reality artwork from Peter Flaherty, Jesse Garrison, and Trey Gilmore centered on a house around which a murder mystery unravels. Traveling While Black from Roger Ross Williams, Félix Lajeunesse, and Paul Raphaël uses The Green Book—a 20th-century guide for African-American travelers—as a starting point to drop viewers in Ben’s Chili Bowl in Washington, D.C., where viewers “sit” in a diner booth with storytellers. In Marshall from Detroit, a 360-degree virtual reality documentary from Caleb Slain, Félix Lajeunesse, and Paul Raphaël, we motor with hometown boy Eminem, who talks with journalist Sway Calloway about the city that shaped him. We see an abandoned church, a destroyed factory, a glorious movie palace, a skyscraper, and a hip-hop battle in a freezing-cold abandoned building. Kaiju Confidential is about a different kind of disruption. 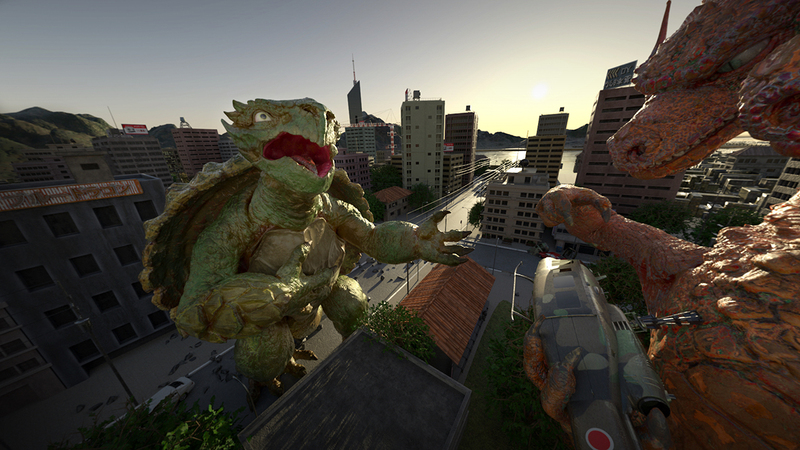 In this virtual reality short created by Thomas O'Donnell, Ethan Shaftel, and Piotr Karwas, two monsters battle over whose modernist Japanese city is theirs to destroy. 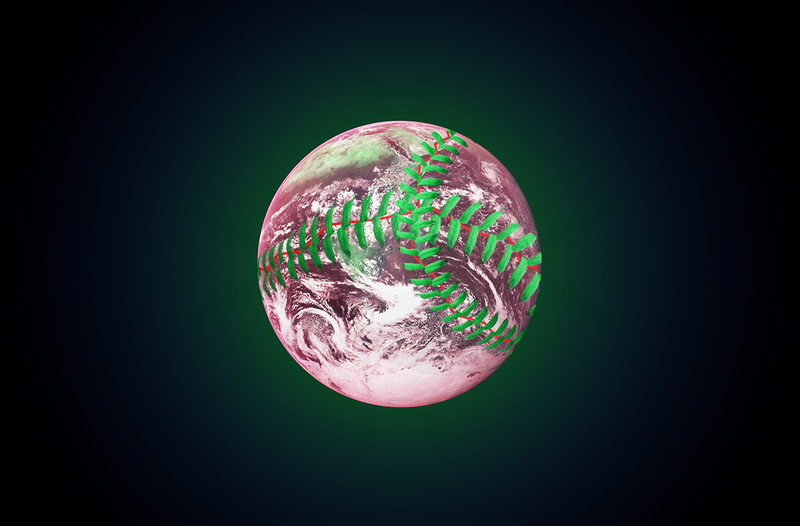 The veteran green beast claims the greater metropolitan area, while his 2-headed rival gets relegated to the suburbs. The Immersive Stage, a three-sided projection room, showcased three digital environments: artist Peter Burr's Dirtscraper, an underground system of “smart architecture” overseen by spatial and social engineers; Matt Romein's analmosh, a dynamic audio-visual landscape; and Victor Morales and Jason Batcheller's Esperpento, based on the Madrid of Goya’s Los Caprichos paintings. Warren Gran, a New York City architect, died Sunday at age 85 in Los Angeles. Gran practiced in New York City for over 45 years and was known for his commitment to making social change through architecture. Gran specialized in public and non-profit projects with an emphasis on affordable housing, sustainability, and social responsibility, including supportive housing for the homeless and those suffering from mental health and substance abuse problems. He worked on many projects with the New York Public Schools, producing innovative spaces to help children with autism and other developmental disabilities. 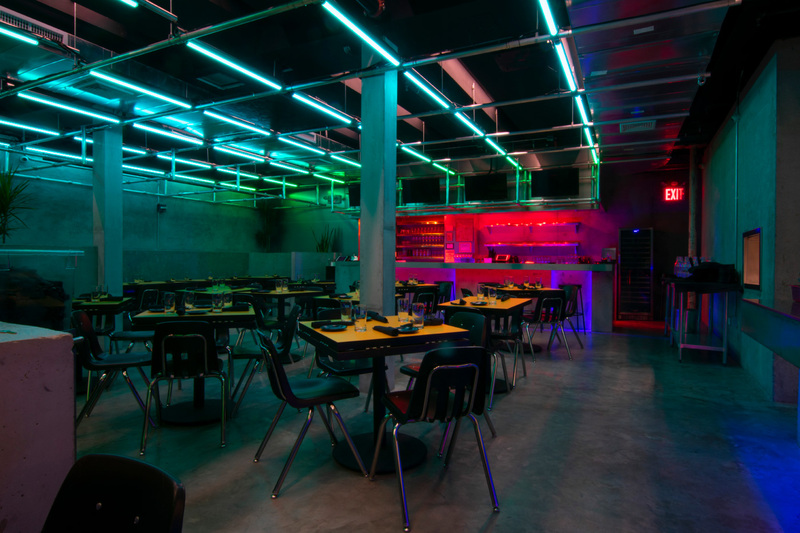 Prominent projects include: PS/IS 395, PS/IS 78Q Robert F. Wagner School in Long Island City, PS/IS 109 in Brooklyn, multiple projects for the Bank Street College of Education, and Brooklyn Family Court. His renovation of and addition to PS 14 won an AIA New York Design Award. Gran was also awarded the Boston Society of Architects/AIA Award for his work on the Lighthouse Charter School in the Bronx. One of his most visible projects was the conversion of a large Brooklyn courthouse on Adams Street into two high schools. A rooftop addition provided gyms and a signature look with red cylinders facing the street. On Morris Avenue in the Bronx, his 1974 housing development built with then-partner Irv Weiner, Melrose D-1 (a.k.a. the Michelangelo Apartments), has been described as an overlooked, pioneering, humane answer to housing problems that still plague the city today. “Why look at Melrose D-1 today? Because it acknowledges housing as a banal, repetitive, highly cost-driven design problem, and makes a virtue out of it,” wrote Susanne Schindler in The Avery Review in 2012. The complex is praised for its innovative floor plan, with access to three courtyards landscaped by Henry Arnold. Gran also worked in historic preservation. Among the prominent projects he worked on were the renovation of the dome at Manhattan Surrogate Court, the Manhattan Appellate Court, Queens Supreme Court, and a restoration of the Pratt Institute Library in collaboration with Giorgio Cavaglieri. Gran also worked as a residential architect designing homes in New Jersey, Connecticut, the Hamptons, and upstate New York that were often inspired by vernacular rural architecture, and balanced humanism and modernist ideals. These include the Weininger Residence in the Hudson Valley and his own weekend home in Ghent, New York, where he and his wife Suzanne vacationed. Gran’s career started while working in the office of the great Edward Larrabee Barnes. From 1967 to 2003 he taught architecture and urban design at Pratt Institute, also serving as the chairperson of the graduate program in urban design, the acting dean of the school of architecture, and teaching seminars at Yale, CUNY, Cooper Union, and NYU. He earned his Bachelor of Architecture at Penn State and his Masters in Planning from Pratt. Students have always said he was incredibly tough—but that they appreciated that toughness, and what he taught them launched their careers. 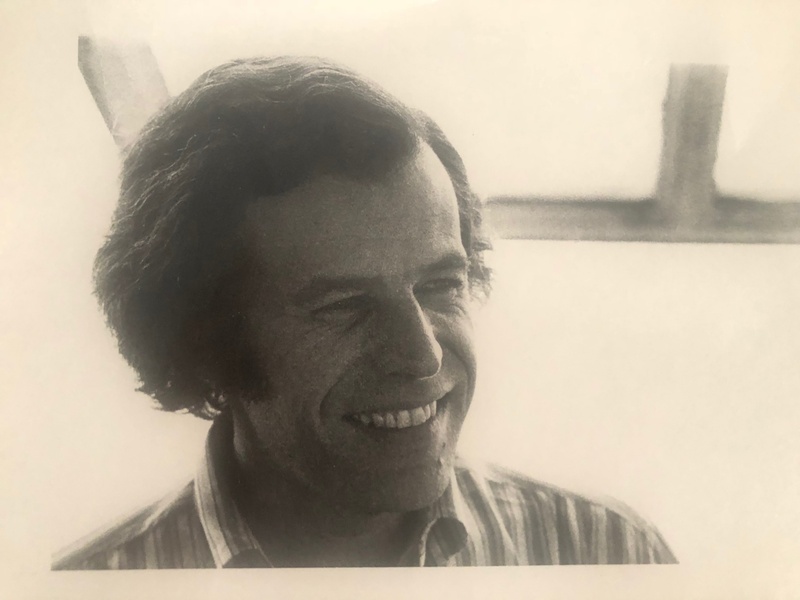 He was a member of the New York City Landmarks Preservation Commission, the National Trust for Historic Preservation, and the Urban Design Committee of AIA’s New York chapter. Gran was an officer in the navy in the late ‘50s, on the aircraft carrier the USS Ticonderoga. During these years he kept an apartment on Fillmore Street in San Francisco that was memorialized in Herb Caen’s San Francisco Chronicle column: Apparently, Gran and his Navy buddies’ parties were so loud the nightclub downstairs had to complain. Suzanne of Kansas City, Missouri, worked at The New Yorker magazine throughout the 1960s. Suzanne died in July of 2017. They are survived by two daughters, designer Eliza Gran and novelist Sara Gran, who went to Saint Ann’s and now live in Los Angeles. Warren is also survived by three grandchildren, Violet Phillips, 19, Ruby Phillips, 17, and Charles Wolf Phillips, 14.